How much time do you spend exploring the other side of the Lions Gate Bridge? 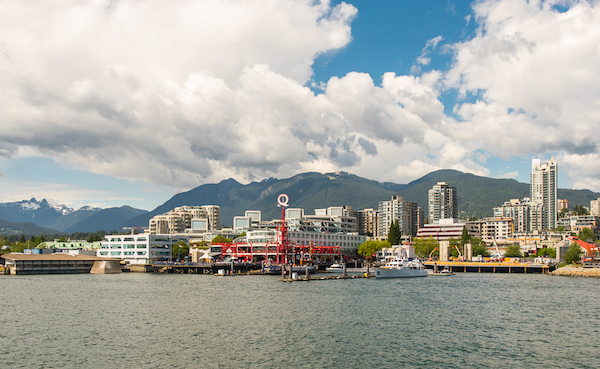 We’ve planned the best 1-day itinerary for North Vancouver – all you have to do is name the day! Start your day with a burst of exercise! The 30 minute walk up to Quarry Rock through the wooden Baden Powell Trail will wake you up better than any espresso. 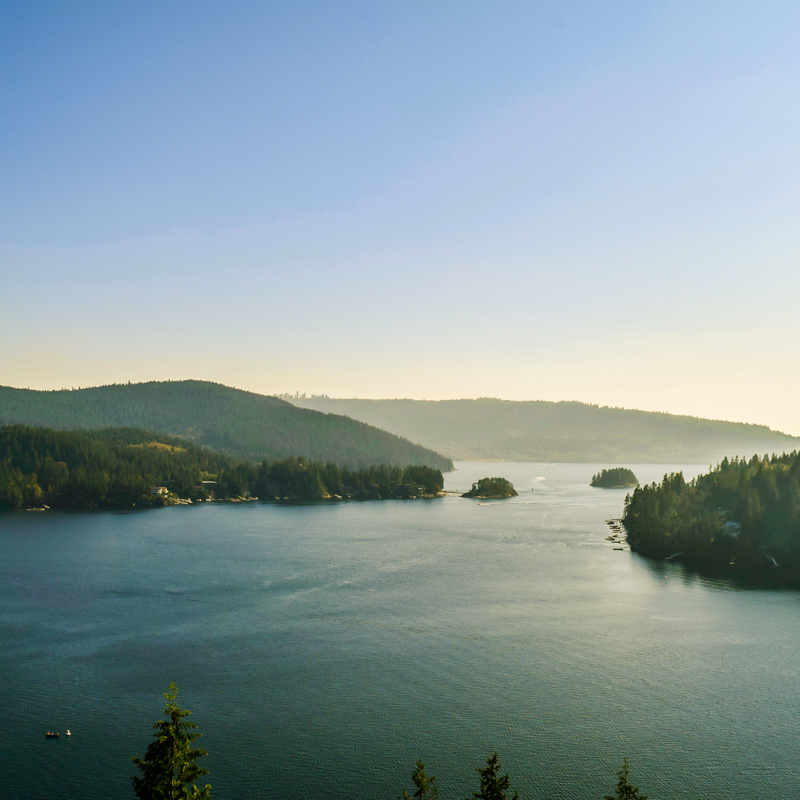 A fairly easy but satisfying hike up to the Quarry Rock leads you to breathtaking views over Deep Cove and the Indian Arm. After the hike down, you’ll have definitely earned an early lunch! Wander the quaint little town, pick up a doughnut from Honey’s and watch the Deep Cove residents grab their kayaks and head out on the water. After Deep Cove, head to Mount Seymour for hiking, skiing or whatever’s good this time of year! The newly renamed ‘Tim Jones’ Peak provides great back-country skiing or hiking opportunities. Named after paramedic and North Shore Rescue volunteer Tim Jones, who helped save countless lives on Mount Seymour. Mount Seymour’s second peak is a fitting tribute to a heroic North Vancouver resident. Enjoy more spectacular views and make the most of the mountain activities. Next on the North Vancouver itinerary is a trip to the market at Lonsdale Quay. With 80 unique vendors offering fresh food, artisanal products plus waterfront views. Perfect for an afternoon pick-me-up and to buy a few souvenirs. You can also climb the Q tower for beautiful views of Vancouver city across the water. In case you haven’t had enough picture perfect opportunities yet on this itinerary! 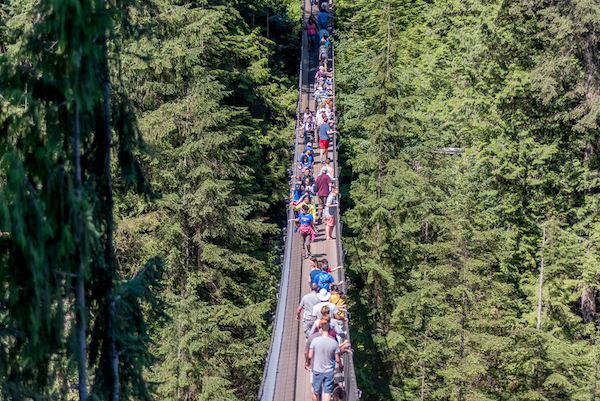 From here, head to the Capilano Suspension Bridge to immerse yourself in the beauty of BC. A Vancouver attraction since 1889, the Capilano Suspension Bridge leads an albeit wobbly path over the Capilano river and straight into the lush rainforest. History, facts and eco-tours are in abundance along with a cliff walk and treetops adventure. 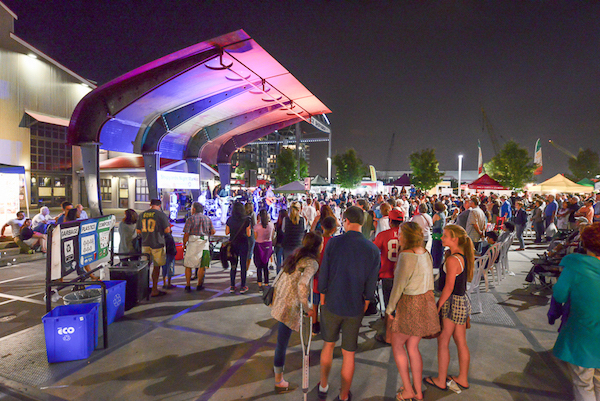 Finish your day in North Vancouver at the Shipyards Night Market. Open from early May to the end of September, the Wallace Shipyard comes alive every Friday night. After the day’s energetic activities you’ll be ready to indulge at one or two of the 40+ food trucks or kick back in the beer garden. There’s live music, 100+ stalls to explore and plenty of local, artisan products. Plus it’s free! Sit by the water and relax after a full day in North Vancouver! *To qualify for multi-experience discounts of 10 – 25%, all experiences must be booked at the same time. Package discounts cannot be combined with any other offers or discounts.